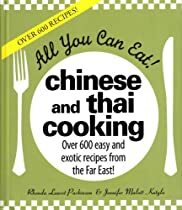 From the standard take-out fare like steamed dumplings and egg rolls to regional specialties designed for the most delicate palates, this book aims to provide an easy way for readers to whip up their favorite Asian dishes at home. 600 recipes, all written in an easy-to follow, step-by-step style, make this volume an essential companion for lovers of Asian food. With index.